Ripping , repairing, shredding are usual ways of degrading the surface. With the development of laser finish technology there are many and different creative effects that can be achieved. You can even “paint” a picture on denim jeans with the laser. The laser “burns” out the indigo in a pre-determined pattern, requiring no water to achieve such effects be they simple wear lines or complex fancy patterns, Hitherto grinding the desired effects and multiple washing was required to achieve the desired worn in / worn out looks. 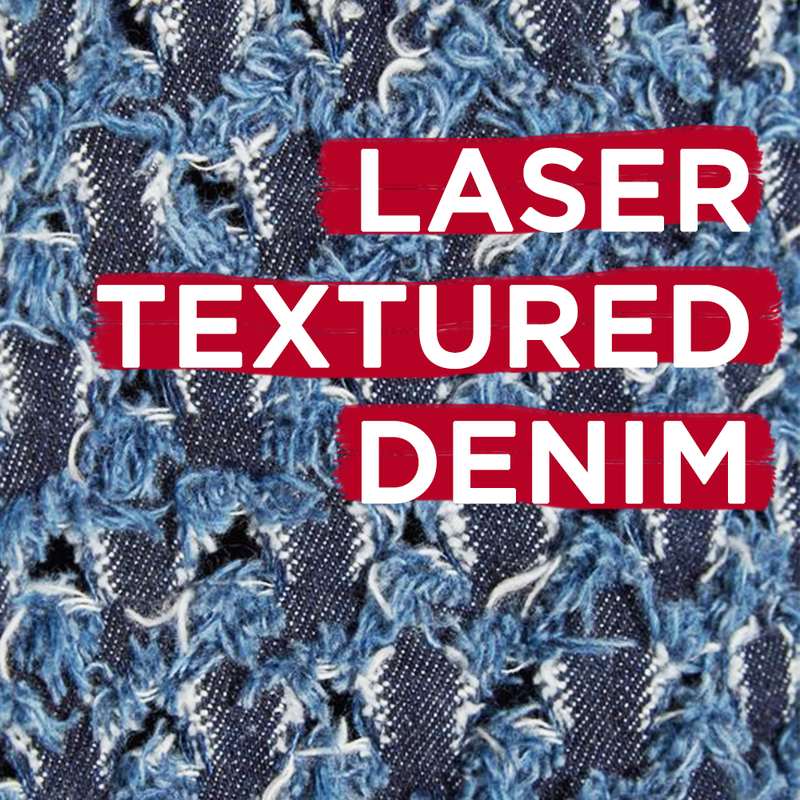 Laser creativity on blue denim achieves the WOW! effect for catwalk jeans wear. The laser burns/cuts the warp threads in whatever pattern is desired so that after contact with water the weft cotton threads swell, fluff and fray to achieve extra soft dennison to contrived patterns. Laser cutting patterns into denim has opened many creative doors for jeans designers. once the pattern is achieved a simple tumble wash releases the raw edged cotton texture. 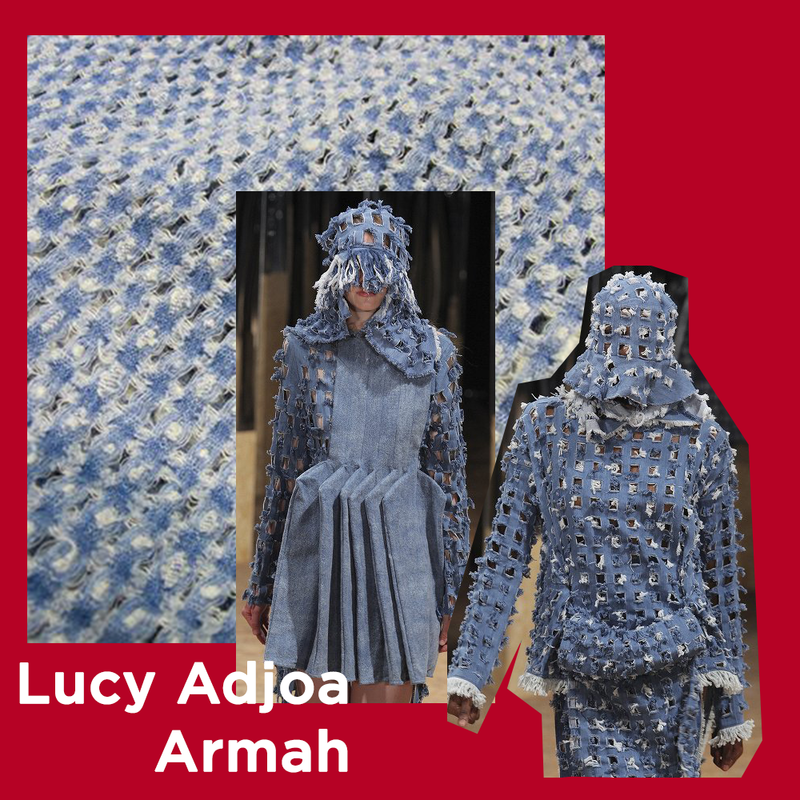 Burn -out holes with naturally wash frayed edges creates amazing textural effects for denim jackets and tops.